We are more than a workout! We are a lifestyle! Inside our studio you will learn to move with ease, while moving beyond your current mental and physical boundaries. Embrace the process and discover your own true power. Your mindset will gradually change and transform you from the inside and out. Body Evolutions is a welcome sanctuary from the typical atmosphere one finds in most health clubs. The studio interior is tranquil to the senses and stimulating to the spirit. An open airy space creates a warm and relaxing atmosphere for all who visit. 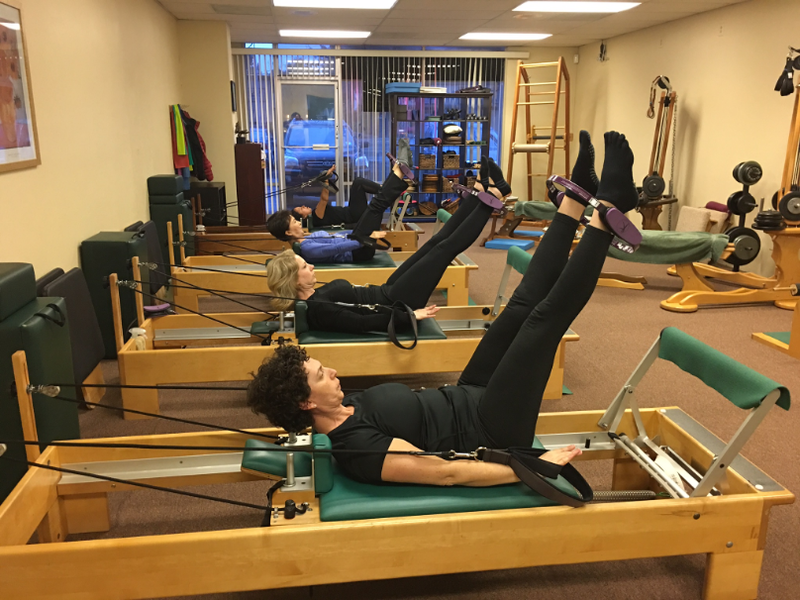 Established in 2001 to provide a unique integrated approach to physical fitness and total well-being, we've witnessed first hand the benefits GYROTONIC® and Pilates has had on hundreds of our clients. That’s why our team's focus is on a whole body approach to health and fitness teaching exercise methods based on science, and rooted in what we consider to be the world’s leading methods of fitness: GYROTONIC® and Pilates. These exercise methods will transform the way you move, and expand your understanding of your body in a way you can feel right on your first session. Book your favorite Body Evolutions' Pilates reformer classes anytime, anywhere! GYROTONIC® GYROTONIC® LOGO, GYROTONIC EXPANSION SYSTEM® AND GYROKINESIS® ARE REGISTERED TRADEMARKS OF GYROTONIC® SALES CORP. AND ARE USED BY PERMISSION.